This ski is "like a ball of water, but if that water was a flame, like an arrow through my cold, dead heart." So says Spencer Harkins, a fan of the ARV 106. 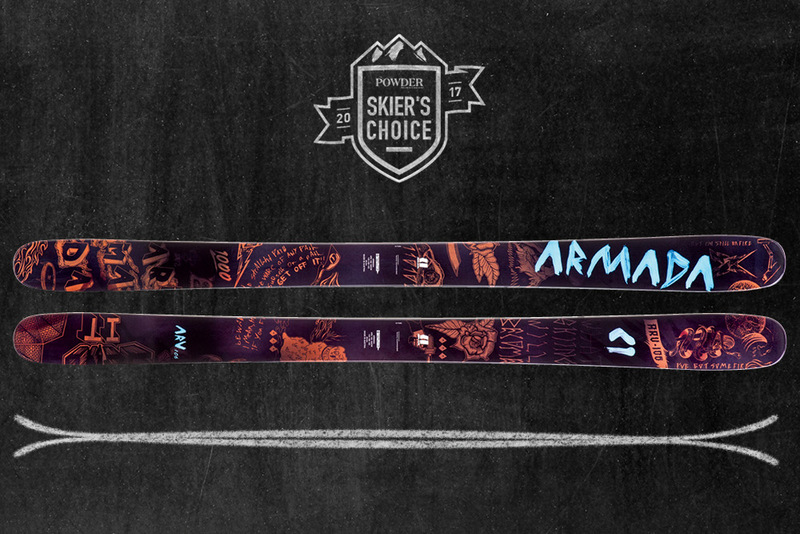 After a few years' hiatus, the most versatile ski in the Armada quiver is back with a vengeance. Along with its brothers the 96 and 86, the ARV 106 is Armada's return to freeriding, with a snappy pop-lite core and a spin tip and tail that allow for more maneuverability for the airborne. When you do eventually come down, carbon Kevlar struts in the tip and tail provide a smooth, stable ride. "Springloaded tail of fun, perfect sidecut, fully flexible, ultimate mountain jibber," says Harkins. Its best use? "Swimming through clouds like an albatross in heat."